First things first - I'm over at Shane's blog today with a nifty little post. So it's finally Friday, and all I can think of is that stupid Rebecca Black song. What's that? You want it stuck in your head, too? Okay. Now that you're singing along (and probably hate me), let's get to the business at hand - Favorite Things Friday. I'm not a huge jewelry wearer, but recently I have come across a few favorite jewelry places that I love. 1. Anjolee Jewelry. 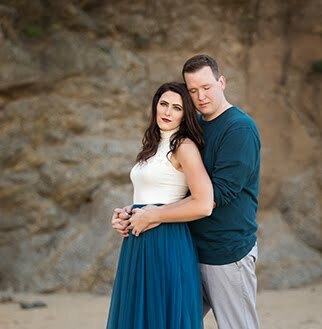 I actually found Anjolee through Kym's blog, and fell in love! 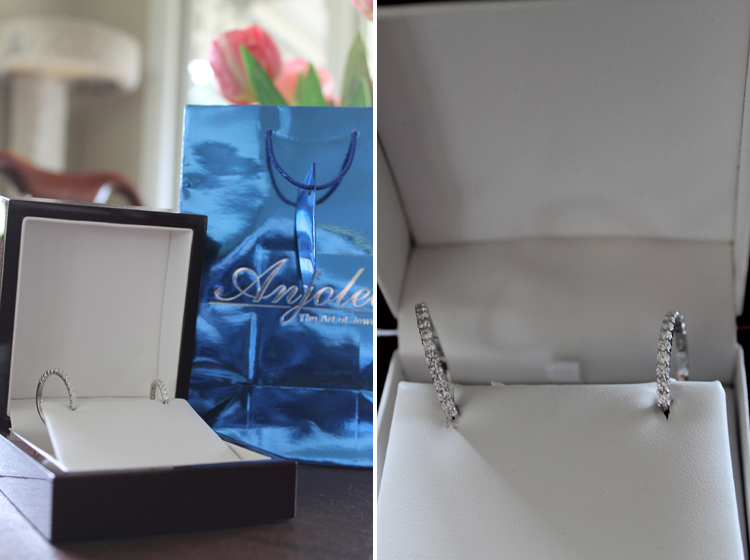 I was even more excited when they offered to send me some beautiful hoop earrings to review! I wore the earrings below to my job review, and I'm convinced that that's the reason I got a second interview. Okay, that's a total lie, but I know they looked good with my professional gear!! They weren't heavy, and they were nice enough to go fancy, but not too nice to go casual. 2. Amethyst Lime Tree. One of Mike's good friends from high school just opened an etsy shop last week! I saw photos of her jewelry on Facebook and loved it! Don't just take my word for it, though - go to her shop and look for yourself! 3. Forever 21's Jewelry. This is not a new thing for me - I just really love it!! 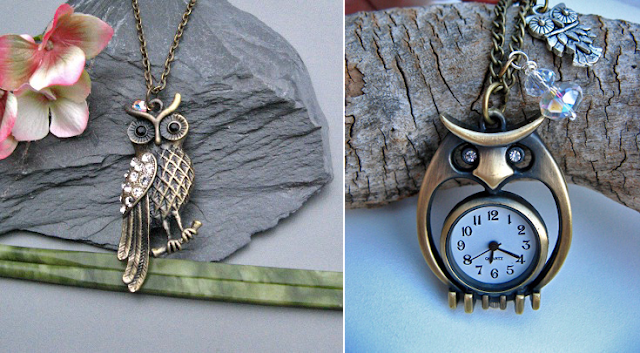 There is not a thing there that is overpriced - it's all affordable and so cute! It's especially good if you want something trendy but don't want to spend too much moolah!! 4. LalaCrystal. I just found this etsy shop today while browsing, and am in love! I was instantly drawn to it because of the bird theme - so cute. 5. Art Inspired Gifts. This etsy shop is awesome! It's another one that I just recently found. Browse around - you won't regret it!! ewww I know that song, so annoying and its always stuck in my head, yuck! haha! Happy Friday! haha I may have to unfollow you for posting the Rebecca Black video!! Kidding of course. Pretty baubles! Since you are talking jewels check out alex&ani. They have really cool stackable bracelets. I will be ordering some this weekend. 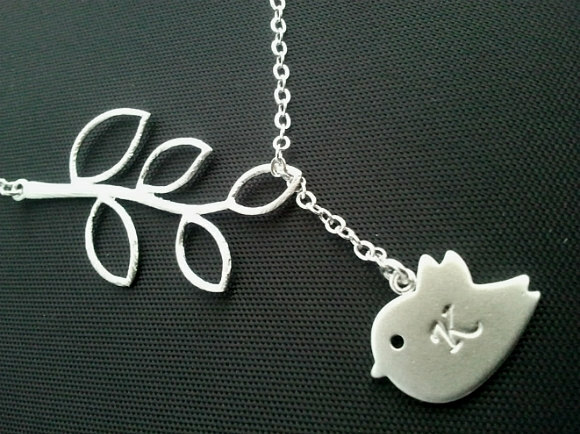 I LOVE that little birdie and tree necklace!!! The owls are cute, too! For some reason, owls were huge in India. Go figure. Hate you for getting that song stuck in my head! Love the hoop earrings! Jarrod enjoys the censored version of Friday. They bleep out random words and it's pretty funny. I heart F21 too. Their accessories are the best. I got a cute skinny belt there for $2.50 I think? It's my favorite. I have never heard that Rebecca Black song although I have 'heard of it' but I refuse to click to listen to it because I'm scared of what might happen. Like I clicked to listen to that Call Me Maybe song and now I can't stop. Sometimes being an expat makes you totally clueless. omg this song and video are absolutely horrid! hysterical that she incorporated a rapper in there. I'm...speechless. hope you can check out my blog too. Oh! I'm so glad you got hooked up with Anjolee! And through my little ol' blog of all places :) Thanks for the shout out! You've got some great taste in jewelry, and I say this because I just ordered that same exact teardrop necklace from forever21 in mint last week AND I've had that bird necklace on my etsy wishlist forever!!! Are you stalking my online shopping habits or something?